Digital libraries suffer from the problem of information overload due to immense proliferation of research papers in journals and conference papers. This makes it challenging for researchers to access the relevant research papers. Fortunately, research paper recommendation systems offer a solution to this dilemma by filtering all the available information and delivering what is most relevant to the user. Researchers have proposed numerous approaches for research paper recommendation which are based on metadata, content, citation analysis, collaborative filtering, etc. Approaches based on citation analysis, including co-citation and bibliographic coupling, have proven to be significant. Researchers have extended the co-citation approach to include content analysis and citation proximity analysis and this has led to improvement in the accuracy of recommendations. However, in co-citation analysis, similarity between papers is discovered based on the frequency of co-cited papers in different research papers that can belong to different areas. Bibliographic coupling, on the other hand, determines the relevance between two papers based on their common references. Therefore, bibliographic coupling has inherited the benefits of recommending relevant papers; however, traditional bibliographic coupling does not consider the citing patterns of common references in different logical sections of the citing papers. 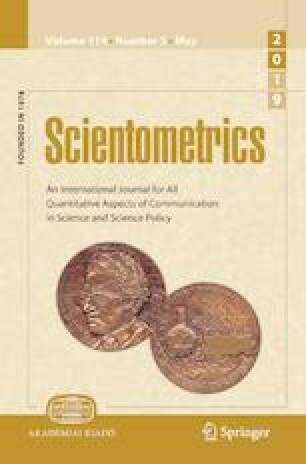 Since the use of citation proximity analysis in co-citation has improved the accuracy of paper recommendation, this paper proposes a paper recommendation approach that extends the traditional bibliographic coupling by exploiting the distribution of citations in logical sections in bibliographically coupled papers. Comprehensive automated evaluation utilizing Jensen Shannon Divergence was conducted to evaluate the proposed approach. The results showed significant improvement over traditional bibliographic coupling and content-based research paper recommendation. This research was supported by Higher Education Commission (HEC) of Pakistan. Beel, J., Langer, S., Genzmehr, M., Gipp, B., Breitinger, C., & Nürnberger, A. (2013). Research paper recommender system evaluation: A quantitative literature survey. In Proceedings of the international workshop on reproducibility and replication in recommender systems evaluation, RepSys ’13 (pp. 15–22). New York: ACM. https://doi.org/10.1145/2532508.2532512. Lee, J., Lee, K., & Kim, J. G. (2013). Personalized academic research paper recommendation system. arXiv preprint arXiv:1304.5457. Sahijwani, H., & Dasgupta, S. (2017). User profile based research paper recommendation. arXiv preprint arXiv:1704.07757.